We finished our second project at Fazenda Almada. It was great to see the 600 seedlings from the first project (read about the July 2016 effort here) grow and develop. The work we undertook in the second project was very important to free the seedlings so they have more space to grow and are not overgrown by weeds which grew very strong in the last months. Our work consisted mainly in freeing the seedlings and clearing of bushes and grass which were in their way. We cut grass to lay on the soil which gives some shelter from the direct sunlight and provides organic material as nutrients. Another exciting part of our work was checking for seedlings which have not survived the first months. We planted new seedlings with the hope that they have a chance as the nutrient plants and shadow trees around them have grown stronger in only four months. It is wonderful to hear that the NGO AMAP was founded and that this project will continue grow big after this initial start-up phase of learning and testing. AMAP and we already plan the next tree planting projects, starting in early summer 2017. 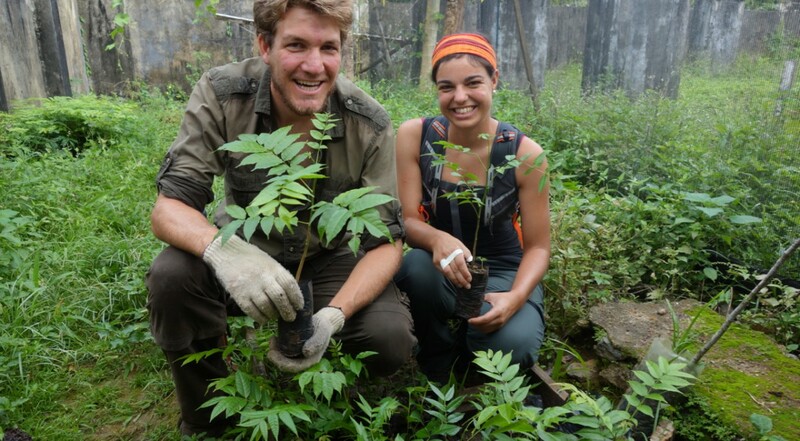 Learn more about volunteering and supporting the continued tree planting here.